Marcel Desailly is confident that Chelsea will be poised to capitalise on any Manchester United mistake on Sunday afternoon. The Red Devils will entertain the Premier League leaders a matter of days after the first leg of their Europa League quarter-final at Anderlecht on Thursday night. Chelsea have beaten Manchester City and Bournemouth in their last two Premier League games to cement their seven-point lead at the top of the Premier League table. 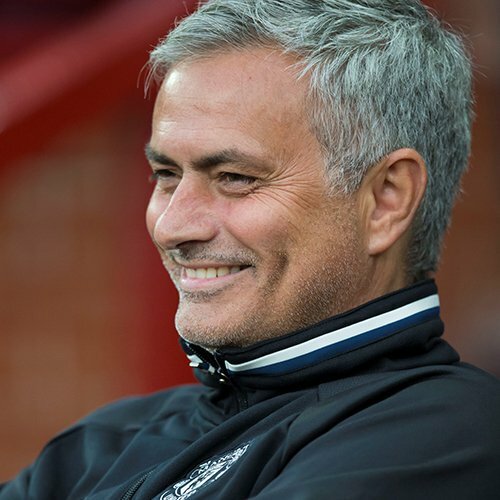 The Blues were 4-0 winners against their former manager Jose Mourinho and his Manchester United side in the Premier League in west London back in October. Chelsea edged to a 1-0 victory over the Red Devils in the FA Cup last eight last month following N’Golo Kante’s long-range goal at Stamford Bridge. Former Blues defender Desailly is backing Chelsea to beat Manchester United for the third time in the 2016-17 campaign on Sunday afternoon. “I’m not sure you change much,” Desailly said. “His tactical set-up can face any sort of team. Manchester United like to play with speed and on the counter-attack so I’m sure that it is going to be a very good game to watch. Chelsea are sitting at the top of the Premier League table and seven points clear of second-placed Tottenham Hotspur. Marcel Desailly was speaking at the TAG Heuer Premier League Pressure Test. TAG Heuer is the first ever Official Timekeeper and Official Watch of the Premier League.